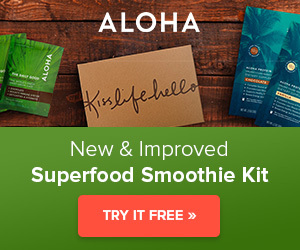 Remember ALOHA’s super popular Free Trial Smoothie Kits? You may not because they were actually so popular ALOHA ran out of stock! The good news is these deliciously nutritious smoothie packs are back! Each smoothie pouch is loaded with quality ingredients that will give you a broad spectrum of nutrients, proteins, vitamins and minerals. These Smoothie Kits can make for a healthy meal replacement, or even a satisfying post-workout snack.